Taking matters into your own hands! One Father decides to fight back. Have you found that, quite often, when you try to do something, you find yourself in a state of inconvenience and you don’t know what to do? When this happens, do you sit back and accept it or, do you take action and fight against it? Well father of seven, Chris Fawcett, decided to fight back because he was tired of his local roads being used as shortcuts. He took matters into his own hands after motorists who have no association with his village, began using the roads in Wiltshire as a short cut to ancient attractions. This caused the traffic on the roads to become hazardous to the safety of locals. 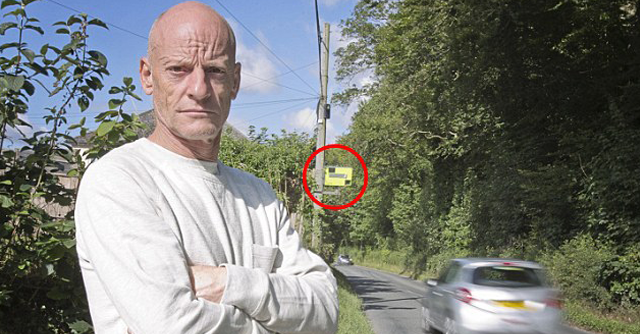 In 2014, he built a dummy speed camera, made of wood to stop drivers hurtling through the village, but a mystery vandal burnt it down. He then built another one, but had to take it down, after Wiltshire council threatened him with legal action. He stated that he ‘could not understand why his homemade camera bothered Wiltshire Council, adding that if someone is doing good surely, it should be praised and not put down’. However, he mentioned that he was ‘not concerned about being praised but that something needs to be done’. For the third time, Mr Fawcett built another camera but, this time, a much stronger one, which was made from a steel cabinet and painted yellow. He said, once again, the council asked him to take it down but he refused to do so. And hoped that the camera would put pressure on the authorities to do something about the speeding threat. Have you been put at an inconvenience? Are you the kind of person who chooses to stand up for what you believe in? 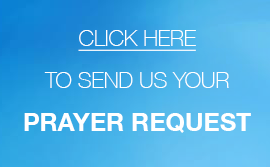 In any case, come and receive the strength that you need to stand up for what has been a hindrance in your life, by engaging in our weekly Chain Of Prayer.